Grosgrain: Ivy Designs: Handmade is Beautiful. Ivy Designs: Handmade is Beautiful. ‘Handmade’ is the heart and soul of Ivy Designs. 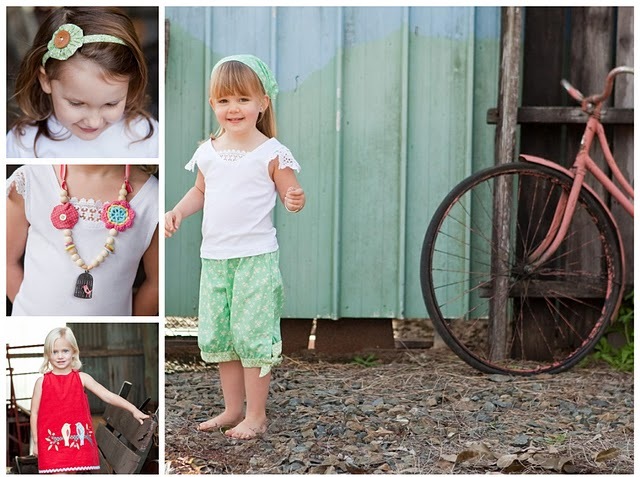 Founded in 2008, Ivy Designs began as a handmade children's clothing and accessories label. Inspired by, designed for and road-tested on little people, their modern-vintage style gathered a large and loyal following. They are known for their creative and original designs, quality craftsmanship, practical styles and use of beautiful fabrics (new and vintage). Although they are taking a break from wholesaling at the moment, they will still continue to bring out a small collection of gorgeous clothes and accessories available through their online stores and markets. 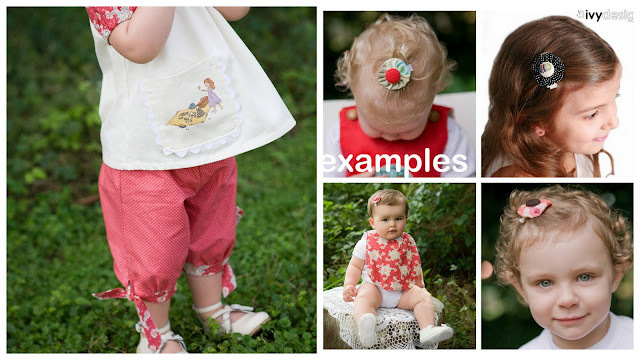 So that everybody can experience the gratification of making something handmade, they are delighted to expand their range to include their very own boutique sewing patterns. The patterns have been carefully composed to allow individuals of all skill levels to produce simple, stylish and comfortable garments. Wynona, the creative hand behind Ivy Designs, is many things. A stay-at-home mother, wife, designer, dressmaker, sewing teacher, crafter, small business owner and everything in between! Growing up, she always found pleasure in being creative and making things with her hands. In her final years at High School she studied Textiles and Design and continued on to complete a few short fashion courses at Central St Martins College of Art and Design, London. A degree in Communications led her to a career in the advertising and publishing industries, which ceased when her baby girl, Ivy, arrived. With help from her sister, she started Ivy Designs in 2008. The label thrived and was quickly snapped up by exclusive boutiques around Australia and internationally. The demands of a small family and a sea change, however, slowed down the wholesale and manufacturing side of the business. It has, fortunately, allowed her the time to teach sewing (something she has always wanted to do) and work on some new sewing patterns. 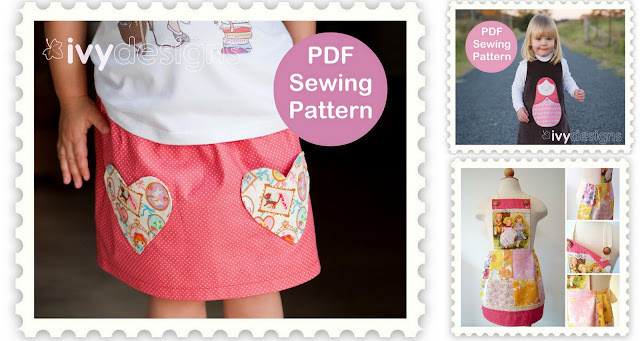 These adorable pdf template appliques are just the cutest addition to your little ones frock or blouse and are only $2! Available instantly. Ivy Designs is proud to support other small businesses and the Australian textiles industry. Their garments are handmade locally, where they enlist the help of professionals and work-at-home-mums. They also believe in ethical trade when dealing with international suppliers. This means no sweatshops, no child labour and fair wages. Ivy Designs, an Australian handmade company, ship worldwide. 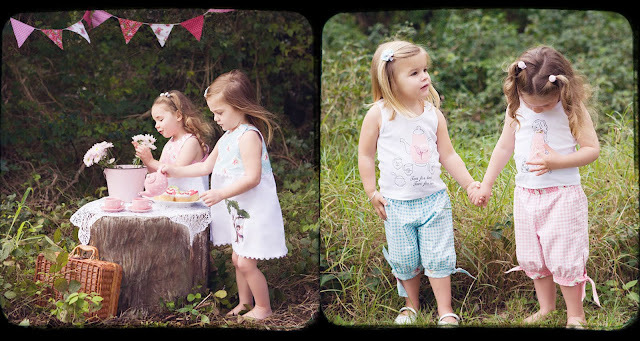 Befriend them on Facebook and their lovely blog which documents Ivy Designs and Wynona's everyday life with her sweet daughter Ivy. What gorgeous stuff, and a lovely piece about them. I will go check out their patterns, but I am looking for something for older kids and i really can not seem to find that anywhere...fingers crossed! Oh how exciting.. I love Ivy Designs and Wynona actually gave me my first real sewing lesson!! So lovely to see fabulous Australian designers on your website. I am a huge fan of Ivy Designs and wish Wynona every well-earned success. Go girl!! !